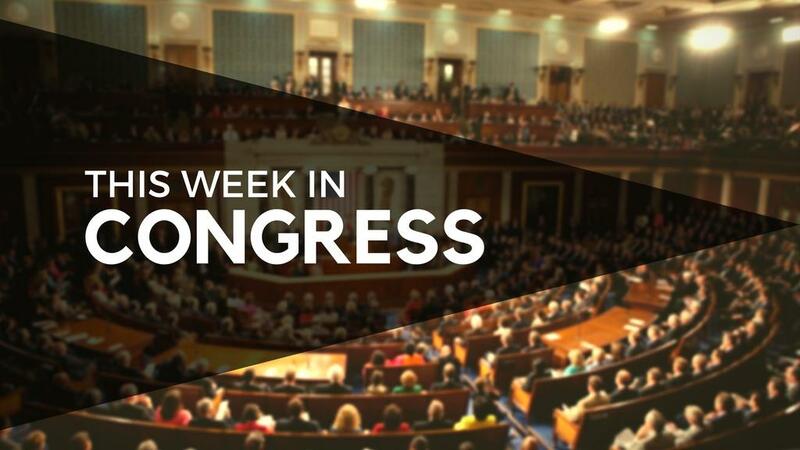 What do you think of this week's Congressional schedule? Congress faces a deadline of midnight Friday to pass legislation funding seven agencies ― including Homeland Security ― or else the third partial government shutdown of 2018 will occur. It’s not yet clear how Congress will try to stave off a shutdown, or whether President Donald Trump will get the $5 billion in funding for border security he says is needed for his signature. The Senate starts its week on Monday with a procedural vote to limit debate on the bipartisan First Step Act, a criminal justice reform bill that aims to lighten sentences for certain non-violent crimes and to incentivize low-risk prisoners' participation in recidivism reduction programs. Votes on amendments are expected in advance of a passage vote. The House’s work week is expected to begin on Wednesday, but what will be on the agenda is unclear: as of Sunday evening House leadership hasn’t announced the schedule. Check here throughout the week to see the vote results and updates to the schedule. Cloture vote on S. 756: First Step Act Invoked 82-12. S. 756: First Step Act Passed 87-12. Cloture vote on the nomination of Joseph Maguire to be Director of the National Counterterrorism Center Invoked 95-1. Confirmation vote on the nomination of Joseph Maguire to be Director of the National Counterterrorism Center Confirmed by voice vote. H.R. 695: Further Continuing Appropriations Act, 2019 Passed by voice vote. S. 3178: Justice for Victims of Lynching Act of 2018 Passed by voice vote. H.R. 6615: Traumatic Brain Injury Program Reauthorization Act of 2018 Passed 352-6. S. 2076: BOLD Infrastructure for Alzheimer's Act Passed 361-3. H.R. 1222: Congenital Heart Futures Reauthorization Act Passed 355-7. S. 2278: State Offices of Rural Health Reauthorization Act of 2018 Passed 357-4. H.R. 7279: Water Infrastructure Improvement Act Passed 351-10. H.R. 6227: National Quantum Initiative Act Passed 348-11. H.R. 6652: To direct the Secretary of the Interior to convey certain facilities, easements, and rights-of-way to the Kennewick Irrigation District, and for other purposes, as amended Passed 359-1. S. 1520: Modernizing Recreational Fisheries Management Act of 2018 Passed 350-11. S. 3530: Museum and Library Services Act of 2018 Passed 331-28. H.R. 7327: SECURE Technology Act Passed 362-1. H.R. 695: House Amendment to Further Continuing Appropriations Act, 2019 Passed 217-182. S. 756: First Step Act Passed 358-36. H.R. 88: Retirement, Savings, and Other Tax Relief Act and the Taxpayer First Act Passed 220-183. H.R. 5075: Ashanti Alert Act of 2018 Passed 386-2. H.R. 4227: Vehicular Terrorism Prevention Act of 2019 Passed 388-2. H.R. 2606: Stigler Act Amendments of 2018 Passed 399-0. S. 2765: RBIC Advisers Relief Act of 2018 Passed 389-0. H.R. 6602: To reauthorize the New Jersey Coastal Heritage Trail Route, and for other purposes Passed 382-9. H.R. 7093: Clean Up the Code Act of 2018 Passed 386-5. S. 2322: Codifying Useful Regulatory Definitions Act Failed suspension rules 230-162. S. 2679: Veterans Small Business Enhancement Act Passed 389-1. H.R. 7227: Taxpayer First Act of 2018, as amended Passed 378-11. S. 2652: Stephen Michael Gleason Congressional Gold Medal Act Passed 390-2. H.R. 5509: Innovations in Mentoring, Training, and Apprenticeships Act Passed 378-13. S. 7: NASA Enhanced Use Leasing Extension Act of 2018 Passed 390-0. S. 2200: National Integrated Drought Information System Reauthorization Act of 2018 Passed 379-9. H.R. 7328: Pandemic and All-Hazards Preparedness and Advancing Innovation Act of 2018 Passed 367-9. H.R. 767: SOAR to Health and Wellness Act of 2018 Failed 230-162. H.R. 6418: VA Website Accessibility Act of 2018, as amended Passed 387-0. S. 3444: A bill to designate the community-based outpatient clinic of the Department of Veterans Affairs in Lake Charles, Louisiana, as the Douglas Fournet Department of Veterans Affairs Clinic Passed 388-0. S. 3777: Forever GI Bill Housing Payment Fulfillment Act of 2018 Passed 389-0. S. 2896: JACK Act Passed 391-0. S. 2961: Victims of Child Abuse Act Reauthorization Act of 2018 Passed 388-2. H.Res. 1181: 'Martial Law' rule allowing resolutions reported by the Rules Committee to be considered on the same day Passed 350-35. H.R. 4174: Foundations for Evidence-Based Policymaking Act of 2017 Passed 356-17. H.R. 2200: Frederick Douglass Trafficking Victims Prevention and Protection Reauthorization Act of 2018 Passed 368-7. H.R. 6287: 9/11 Memorial Act Passed 371-3. S. 1158: Elie Wiesel Genocide and Atrocities Prevention Act of 2018 Passed 367-4. S. 1580: Protecting Girls' Access to Education in Vulnerable Settings Act Passed 362-5. S. 3247: Women’s Entrepreneurship and Economic Empowerment Act of 2018 Passed 352-18. H.R. 7293: To designate the facility of the United States Postal Service located at 770 Ayrault Road in Fairport, New York, as the “Louise and Bob Slaughter Post Office” Passed 376-6, 2 present. S. 2276: GAO-IG Act Passed 382-2. S. 3031: Federal Personal Property Management Act of 2018 Passed 383-1. S. 3191: Civil Rights Cold Case Records Collection Act of 2018 Passed 376-6. H.Res. 1063: Designating room H-226 of the United States Capitol as the "Lincoln Room” Passed 366-0. H.R. 7329: To make technical corrections to provisions of law enacted by the Frank LoBiondo Coast Guard Authorization Act of 2018, and for other purposes Passed 378-2. H.R. 7318: To amend the Federal Assets Sale and Transfer Act of 2016 to ensure that the Public Buildings Reform Board has adequate time to carry out the responsibilities of the Board, and for other purposes Passed 372-2. H.R. 7319: To amend the Federal Assets Sale and Transfer Act of 2016 to provide flexibility with respect to the leaseback of certain Federal real property, and for other purposes Passed 372-1. S. 3367: Department of Transportation Reports Harmonization Act Passed 381-2. S. 1862: Trafficking Victims Protection Reauthorization Act of 2017 Passed 370-0. S. 3661: 75th Anniversary of World War II Commemoration Act Passed 370-0. S. 1023: Tropical Forest Conservation Reauthorization Act of 2018 Passed 332-43. S. 512: Nuclear Energy Innovation and Modernization Act Passed 361-10. S. 1934: Alaska Remote Generator Reliability and Protection Act Passed 202-171. S. 3456: To redesignate Hobe Sound National Wildlife Refuge as the Nathaniel P. Reed Hobe Sound National Wildlife Refuge, and for other purposes Passed 365-5, 2 present. S. 3277: Space Frontier Act of 2019 Passed 239-137. H.R. 7388: National Flood Insurance Program Competition and Extension Act of 2018 Failed 148-226. S. 3628: National Flood Insurance Program Extension Passed 315-48. Additional legislative items are possible. Tell your reps how to vote on this week's bills and share your thoughts below! Navy Drafting New Guidelines for Reporting UFOs – Do Sightings Need to Be Taken More Seriously? Should Congress Impeach Attorney General William Barr? Is 'Chalking' Tires an Unreasonable Search by Parking Enforcement Officers?